Roll Up, Roll Up. The Circus is in town . . .
- With the Big Top Ringmaster. The Clowns custard pie frenzy. The Regal Bengal Tiger Act. 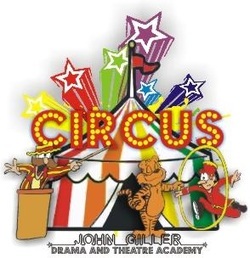 Circus was the end of term production performed on Saturday 11th March 2012 by the SHOOTING Stars. 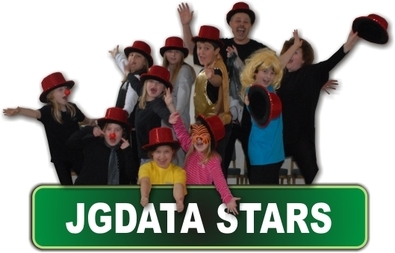 Starting back in January, students worked on different performances shown within the big top. Lots of Circus acts were learned, from training tigers, elephants, performing dogs and even monkeys and seals. The high-wire act was learned (on the ground of course) with students acting out their skilful balancing routines which included juggling and fire eating (all with ribbons as props). The comical clown act where everyone got covered in (imaginary) custard pies and of course the grand finale, where the singing and dancing skills of our students shone through. Thanks you to all of the parents, friends, grandparents and siblings for helping us celebrate a fantastic first term. We know you enjoyed the show from your very generous applause. Congratulations to all students of the SHOOTING Stars – you were all magnificent.